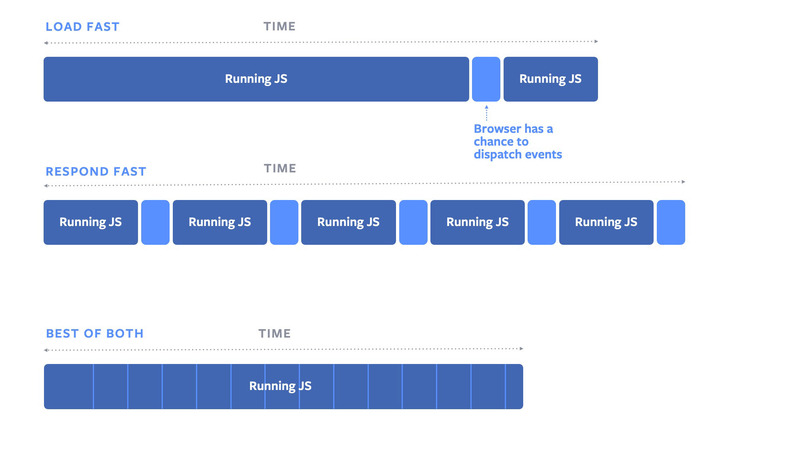 Facebook today announced that it has made its first major API contribution to Google’s Chrome browser. Together with Google, Facebook’s team created an API proposal to contribute code to the browser, which is a first for the company. The code, like so much of Facebook’s work on web tools and standards, focuses on making the user experience a bit smoother and faster. In this case, that means shortening the time between a click or keystroke and the browser reacting to that. The first trial for this new system will launch with Chrome 74. Every time the browser goes through that cycle, though, and checks for new events, processes them, a bit of extra time passes. You do this too many times and loading the page slows down. But if you only check for inputs at slower intervals, the user experience degrades as the browser takes longer to react. To fix this, Facebook’s engineers created the isInputPending API, which eliminates this trade-off. The API, which Facebook also brought to the W3C Web Performance Working Group, allows developers to check whether there are any inputs pending while their code is executing. For now this is just a trial — and because developers must integrate this into their code, it’s not something that will automatically speed up your browser once Chrome 74 launches. If the trial is successful, though, chances are developers will make use of it (and Facebook surely will do so itself) and that other browser vendors will integrate into through their own engines, too. Editors Note: This article is part of a series that explores the world of growth marketing for founders. If you’ve worked with an amazing growth marketing agency, nominate them to be featured in our shortlist of top growth marketing agencies in tech. Startups often set themselves back a year by hiring the wrong growth marketer. This post shares a framework my marketing agency uses to source and vet high-potential growth candidates. With it, early-stage startups can identify and attract a great first growth hire. It’ll also help you avoid unintentionally hiring candidates who lack broad competency. Some marketers master 1-2 channels, but aren’t experts at much else. When hiring your first growth marketer, you should aim for a generalist. How I find growth candidates. How I identify which candidates are legitimately talented. One interesting way to find great marketers is to look for great potential founders. Let me explain. Privately, most great marketers admit that their motive for getting hired was to gain a couple years’ experience they could use to start their own company. Don’t let that scare you. Leverage it: You can sidestep the competitive landscape for marketing talent by recruiting past founders whose startups have recently failed. Why do this? Because great founders and great growth marketers are often one and the same. They’re multi-disciplinary executors, they take ownership, and they’re passionate about product. You see, a marketing role with sufficient autonomy mimics the role of a founder: In both, you hustle to acquire users and optimize your product to retain them. You’re working across growth, brand, product, and data. As a result, struggling founders wanting a break from the startup rollercoaster often find transitioning to a growth marketing role to be a natural segue. How do we find these high-potential candidates? To find past founders, you could theoretically monitor the alumni lists of incubators like Y Combinator and Techstars to see which companies never succeeded. Then you can reach out to their first-time founders. You can also identify future founders: Browse Product Hunt and Indie Hackers for old projects that showed great marketing skill but didn’t succeed. There are thousands of promising founders who’ve left a mark on the web. Their failure is not necessarily indicative of incompetence. My agency’s co-founders and directors, including myself, all failed at founding past companies. How do I attract candidates? Let them be involved in many things. Let them be fully in charge of a few things. Remember, recreate the experience of being a founder. Product and market: Do their interests line up with how your product impacts its users? For example, do they care more about connecting people through social networks, or about solving productivity problems through SaaS? And which does your product line up with? Product-channel fit: Are they excited to run the acquisition channels that typically succeed in your market? The latter is a little-understood but critically important requirement: Hire marketers who are interested in the channels your company actually needs. A B2B enterprise SaaS app. An e-commerce company that sells mattresses. Broadly speaking, the enterprise app will most likely succeed through the following customer acquisition channels: sales, offline networking, Facebook desktop ads, and Google Search. In contrast, the e-commerce company will most likely succeed through Instagram ads, Facebook mobile ads, Pinterest ads, and Google Shopping ads. We can narrow even further: In practice, most companies only get one or two of their potential channels to work profitably and at scale. Meaning, most companies have to develop deep expertise in just a couple channels. There are enterprise marketers who can run cold outreach campaigns on autopilot. But, many have neither the expertise nor the interest to run, say, Pinterest ads. So if you’ve determined Pinterest is a high-leverage ad channel for your business, you’d be mistaken to assume that an enterprise marketer’s cold outreach skills seamlessly translate to Pinterest ads. Some channels take a year or longer to master. And mastering one channel doesn’t necessarily make you any better at the next. Pinterest, for example, relies on creative design. Cold email outreach relies on copywriting and account-based marketing. To summarize: To attract the right marketers, identify those who are interested in not only your product but also how your product is sold. The founder-first approach I’ve shared is just one of many ways my agency recruits great marketers. The point is to remind you that great candidates are sometimes a small career pivot away from being your perfect hire. You don’t have to look in the typical places when your budget is tight and you want to hire someone with high, senior potential. This is especially relevant for early-stage, bootstrapping startups. If you have the foresight to recognize these high-potential candidates, you can hopefully hire both better and cheaper. Plus, you empower someone to level up their career. Poach experienced junior marketers from a company in your space by offering senior roles. Hire candidates from top growth marketing schools. If you don’t yet have a growth candidate to vet, you can stop reading here. Bookmark this and return when you do! Now that you have a candidate, how do you assess whether they’re legitimately talented? Create Facebook and Instagram ads to send traffic to our site. This showcases their low-level, tactical skills. Walk us through a methodology for optimizing our site’s conversion rate. This showcases their process-driven approach to generating growth ideas. Process is everything. Ideate and prioritize customer acquisition strategies for our company. This showcases their ability to prioritize high-leverage projects and see the big picture. We allow a week to complete these projects. And we pay them market wage. Here’s what we’re looking for when we assess their work. Competent: Can they follow instructions and understand nuance? Reliable: Will they hit deadlines without excuses? Communicative: Will they proactively clarify unclear things? Kind: Do they have social skills? If they follow our instructions and do a decent job, they’re competent. If they hit our deadline, they’re probably reliable. If they ask good questions, they’re communicative. And if we like talking to them, they’re kind. Do they have a process for generating and prioritizing good ideas? Did their process result in multiple worthwhile ad and landing page ideas? We’re assessing their process more so than their output. A great process leads to generating quality ideas forever. Resources are always limited. One of the most important jobs of a growth marketer is to ensure growth resources are focused on the right opportunities. I’m looking for a candidate that has a process for identifying, evaluating, and prioritizing growth opportunities. Can they execute on those ideas? Did they create ads and propose A/B tests thoughtfully? Did they identify the most compelling value propositions, write copy enticingly, and target audiences that make sense? Have they achieved mastery of 1-2 acquisition channels (ideally, the channels your company is dependent on to scale)? I don’t expect anyone to be an expert in all channels, but deep knowledge of at least a couple channels is key for an early-stage startup making their first growth hire. If you don’t have the in-house expertise to assess their growth skills, you can pay an experienced marketer to assess their work. It’ll cost you a couple hundred bucks, and give you peace of mind. Look on Upwork for someone, or ask a marketer at a friend’s company. If you’re an early-stage company with a tight budget, there are creative ways to source high-potential growth talent. Assess that talent on their product fit and market fit for your company. Do they actually want to work on the channels needed for your business to succeed? Give them a weeklong sample project. Assess their ability to generate ideas and prioritize them. 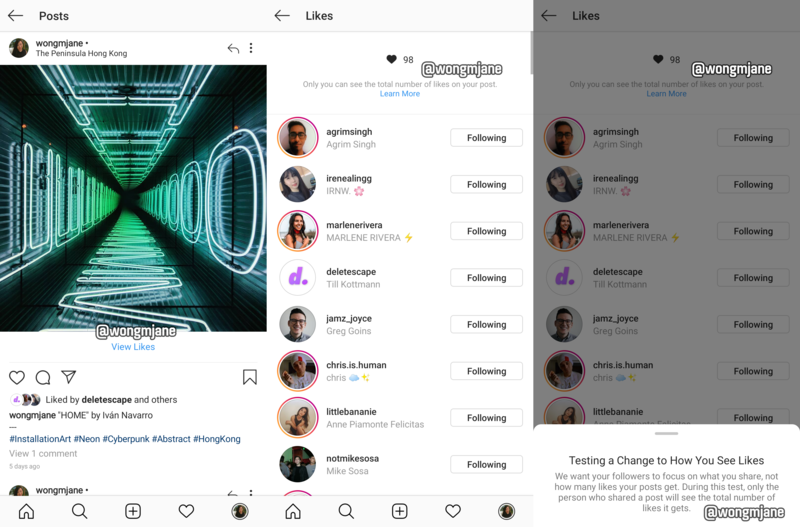 Facebook has confirmed its password-related security incident last month now affects “millions” of Instagram users, not “tens of thousands” as first thought. The social media giant confirmed the new information in its updated blog post, first published on March 21. “Our investigation has determined that these stored passwords were not internally abused or improperly accessed,” the updated post said, but the company still has not said how it made that determination. The social media giant did not say how many millions were affected, however. Last month, Facebook admitted it had inadvertently stored “hundreds of millions” of user account passwords in plaintext for years, said to have dated as far back as 2012. The company said the unencrypted passwords were stored in logs accessible to some 2,000 engineers and developers. The data was not leaked outside of the company, however. Facebook still hasn’t explained how the bug occurred. Facebook posted the update at 10am ET — an hour before the Special Counsel’s report into Russian election interference was set to be published. When reached, spokesperson Liz Bourgeois said Facebook does not have “a precise number” yet to share, and declined to say exactly when the additional discovery was made.